Version C, please. Would buy an A too if the EVEREST was printed in a dial-shaded font! Ohhh, pretty. I already have version A, think I’d have to add a C as well. It’s something that occurred to me the other day when I was looking at mine - the 36mm PRS-25 case is a great base for all sorts of possible designs, not just 1016 homages. Last edited by rodan; 3rd January 2019 at 12:47. I'd definitely buy B, probably buy A and flip my "first generation" black version ... the hour/second hands on A are a definite improvement on that. A is also good, probably a minor improvement over the current 36mm, but nothing that would worry me. If someone wants one of the 36mm, I'd just buy the one just released. Oh for C - guess would like to see a real proto to make a decision. Not too sure at the moment, could be a winner, or maybe a total dogs dinner! Would the C version be same lume as the others or the vintage tone in the picture? 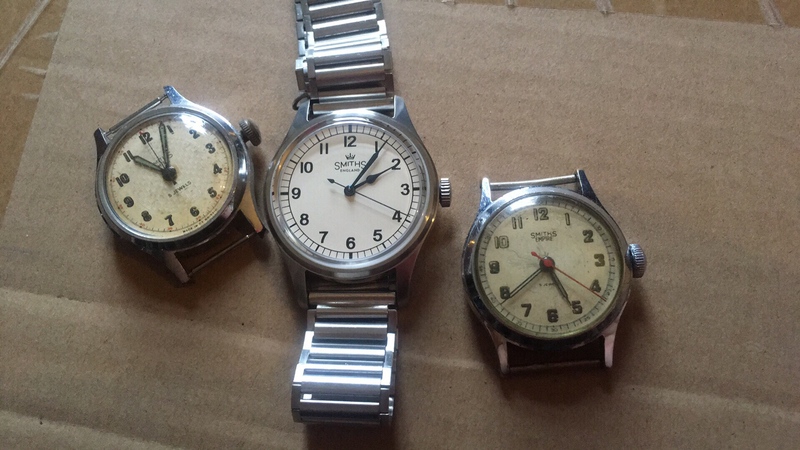 [QUOTE=AdmiralNilsson;4985478]Would the C version be same lume as the others or the vintage tone in the picture? Good point! Not a fan of faux vintage lume. But yeah. Shut up and take my money on version C. Looks brilliant. And talking of smiths design dna id also go with the red seconds hand. Its so very very smiths. It will be a C dial with B hands for me. It won't have vintage lume, it will have X1-C3. I will buy it however it comes Eddie, I trust your judgement before all others, ....and the meek shall inherit the earth... if that's ok with everyone else. Eddie what are you doing to the hands of the black 36mm everest? Nice, vintage lume is a bit....meh. I do like the thought of a red second hand. 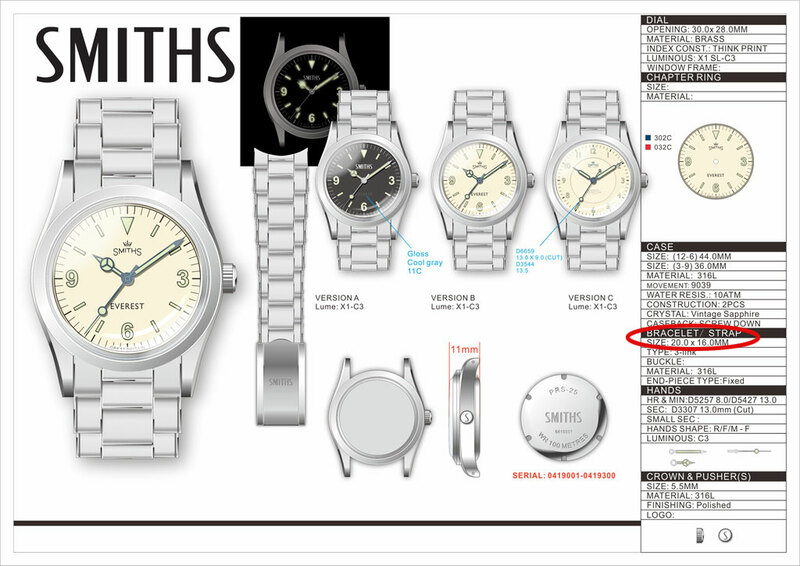 Eddie - does that mean the colour of the lume will be similar to what you have on the B variant? Eddie, do you have a guess when these beauties will be available? Have you thought about offering a special collectors bundle for those freaks who want to have all three? Good work Eddie, fwiw I reckon B/C will be very special. A clear vote in favour of C.
Or, make both, like the PRS-29? Seems there's enthusiasm for "C," as well. Should draw in the Smiths enthusiasts and those who will balk at an Explorer "homage." Either way, best of luck with the new release, and Happy New Year. The C looks to have great promise, particularly at 36mm. It picks up the feel of the original A454 quite nicely. I’ll be watching these with interest... especially given the date-less movement and ‘X grade’ lume. The centre part of the dial is sunken. This is fabulous. A real stunner. I really hope that this makes it into a production run. probably be lynched if I tried to get both ! I am really, really impressed by version C.
Hi, long-time lurker, first-time poster. I just had to chime in that I really, really love version C. Would buy! Last edited by marschv; 4th January 2019 at 17:00. I intend to buy Version C as well. Any rough timelines so I get my savings in shape? Version C would certainly test my resolve not to buy any watches this year to breaking point. Version C for me. Maybe with a red seconds hand iso a blue one, just like the original 454 Smiths? And maybe the hour numbers could/should be slightly bigger. Good call about the numbers being ever so slightly bigger. I also think the red second hand would be worth looking at, maybe without the lollipop. Hmmm. Starting to like that Version C.
Version C now looks very appealing, especially with the much improved second hand. Should Version C perhaps come on a leather strap, and not an oyster bracelet? You could always just fit any strap you like :) tbh I wouldn't bother buying if it didn't come on a bracelet, might as well just wear the prs29. I like the fact it comes with a bracelet. To get a bracelet after the event is always a pain.